Nearly one-third of individuals diagnosed with mesothelioma in the United States are military veterans. The enlisted personnel who served and worked on military ships or other vessels were often exposed to asbestos without their knowledge. The enlisted personnel in the U.S. Navy, for example, often worked the dirty jobs in the boiler room, in maintenance, pipefitting and construction had the heaviest exposure coming in direct contact with asbestos. Anyone who served aboard ships or in the shipbuilding yards likely had direct contact or significant second-hand exposure to asbestos. Navy-related mesothelioma has been traced to this asbestos exposure. Mesothelioma is an asbestos-related cancer that invades the lining of the lungs, stomach and abdomen. Mesothelioma has a long latency period of 20 to 30 years after the asbestos exposure. In the early stages of the disease, mesothelioma may not have any visible symptoms and is very hard to detect. In the later stages, certain symptoms begin to develop and are usually caused by the growth of cancer and its pressure on certain nerves. Railroad companies used asbestos extensively even though it new that asbestos exposed a serious health threat to railroad workers. Up to the 1970s, the railroad industry used asbestos contaminated products at the detriment of the railroad workers. There are even some accounts that some locomotives contained asbestos until the late 1990s. The railroad industry had a long standing dependence on asbestos through its use to repair and manufacture a variety of train surfaces and parts. As a result, countless unsuspecting railroad workers over the past two centuries have been unknowingly exposed to asbestos. There were many railroad industry products that contained asbestos. Common uses of asbestos in the railroad industry were asbestos insulation or lagging that was attached to the steam engine, fireboxes and piping systems. Carriages and boxcars also contained asbestos. Asbestos was often used on cabooses and boxcars as coverings for walls or wallboards, ceilings and floor tiles. Brake linings and clutches in the railroad industry were often made from asbestos. Cloth packing materials and ropes even contained asbestos in the railroad industry. Gaskets were also composed of asbestos. Mesothelioma | NJ Supreme Court upholds $7 million mesothelioma jury award from ExxonMobil. The N.J Supreme Court denied ExxonMobil’s appeal of $7 million mesothelioma jury award. In 2008, Bonnie Anderson argued and the jury agreed that she contracted peritoneal mesothelioma by coming in regular contact with her husband’s asbestos-laden clothes. Malignant peritoneal mesothelioma is an asbestos-related cancer that invades the lining of the stomach and abdomen. Second most after pleural mesothelioma, peritoneal mesothelioma accounts for less than 20% of all mesothelioma cases. As with other mesothelioma types, peritoneal mesothelioma has a long latency period of 20 to 30 years after the asbestos exposure. Bonnie Anderson was diagnosed with malignant peritoneal mesothelioma in 2001. Anderson’s exposure to asbestos came from washing her husband’s clothes. Her husband worked the first six years at the Exxon refinery removing insulation to fix pumps and filters and he regularly came home with his clothes covered in insulation dust – a dust she always shook out before tossing his clothes in the washing machine. Amgen, a biotechnology company that develops human therapeutics, announced that their investigational drug motesanib did not improve the overall survival among patients with advanced non-squamous non-small cell lung cancer (NSCLC). The drug would have offered new treatment options for hard to treat cancers such as NSCLC and possibly pleural malignant mesothelioma. Malignant pleural mesothelioma is an asbestos-related cancer that invades the lining of the lungs. Approximately 3000 Americans are diagnosed with mesothelioma per year and symptoms of mesothelioma generally occur approximately 20 to 30 years after the asbestos exposure. Chemotherapy treatment for mesothelioma typically involves the combination of two chemotherapy drugs, namely gemcitabine and cisplatin. Other chemotherapy drugs used in treating mesothelioma include carboplatin and doxorubicin. 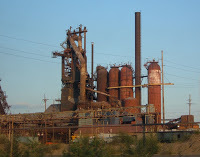 From World War II to the 1980s, workers in all facets of the steel industries were unknowingly exposed to high levels of asbestos. Instead of enjoying their “golden years,” many of those men and women are now facing the ordeal of mesothelioma or disabling lung disease. Mesothelioma is an asbestos-related cancer that invades the mesothelium – the lining of tissue that surround vital organs. The most common is pleural mesothelioma or cancer of the lining of the lungs. Approximately 3000 Americans are diagnosed with mesothelioma per year and symptoms of mesothelioma generally occur approximately 20 to 30 years after the asbestos exposure. NYU researchers presented a study at the 102nd American Association for Cancer Research Annual Meeting that led to a new test that detects early-stage, asbestos-related pulmonary cancer. The NYU Langone Medical Center investigated a protein test to detect early stage malignant pleural mesothelioma where the test was 80 percent sensitive to accurately identifying the pulmonary cancer proteins caused by asbestos exposure. Malignant pleural mesothelioma is an aggressive, asbestos related cancer that invades the lining of tissue that surround the lungs. Approximately 3000 Americans are diagnosed with mesothelioma per year and symptoms of mesothelioma generally occur approximately 20 to 30 years after the asbestos exposure. The disease can be fatal with 12 months following the diagnosis because of its aggressive nature and it typically is diagnosed in the advanced stages of the cancer. The American Thoracic Society (ATS) will hold their annual international symposium on pulmonary care scheduled for May 13-18, 2011 in Denver, Colorado. The ATS conference is titled “Where today’s science meets tomorrow’s care in pulmonary, critical care & sleep medicine” and will feature topics from bioengineering to genetic technologies. The ATS conference brings researchers in pulmonary care together to develop new treatments for lung diseases such as mesothelioma. The ATS Scientific Breakthroughs of the Year session will focus on advances in lung tissue bioengineering. “Lung tissue bioengineering has become an exciting area in lung research,” according to Angela Panoskaltsis-Mortari, PhD, co-chair of the session. 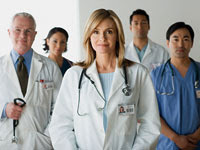 She also added “Rapid advances in tissue engineering have demonstrated the potential of developing functional tissue, which could be used in place of whole-lung transplants.” Although there continues to be breakthroughs in the areas of bioengineering and genetics, there, nevertheless, needs to be more studies and clinical trials to bring new treatments to mesothelioma patients.